After her father's death, Mollie Knox takes over his watchmaking company and uses her head for business to solidify the good name of the 57th Illinois Watch Company. Her future looks bright until the night her beloved city is destroyed in the legendary Great Chicago Fire. With her world crumbling around her, Molly must do whatever it takes to save her company in the aftermath of the devastating fire. Zack Kazmarek is an influential attorney with powerful ties to the political, mercantile, and ethnic roots of Chicago. His only weakness is Mollie Knox, a woman who has always been just beyond his reach. However, all bets are off after the fire destroys Chicago, and Mollie is in desperate need of assistance. Just as Zack finally begins to pursue the woman he loves, competition arises in the form of a hero from her past who can provide the help she needs to rise from the ashes. While Mollie struggles to rebuild, the two men battle for her heart. One has always loved her, but the other has the power to save her. In the race to rebuild the city, can she survive with her business and her heart intact? I'm about halfway through this book right now. I intended to finish it on our drive home this week, but well, we're still here. Anyway, the book opens with a brief scene from the fire then backtracks about a week to give you time to get to know the characters in their "former lives". Because after the fire everything changes. Camden makes the history come alive through her characters. This is the second of her novels I've read and the storytelling is fabulous. Enough details to make you feel like you are there, but not so many that you get bored. And believable characters you have a chance to know. In this particular story I can see what Mollie should do, but because I'm privy to Zach's thoughts and history I know that. She has to figure it out for herself! It's an interesting take on life! 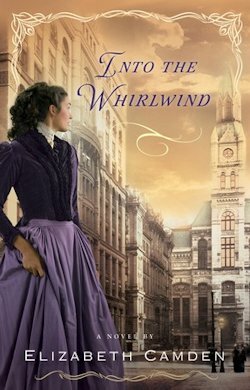 If you would like to read the first chapter of Into the Whirlwind, go HERE. A research librarian and associate professor, Elizabeth Camden has a master’s in history from the University of Virginia and a master’s in library science from Indiana University. She has published several articles for academic publications and is the author of four nonfiction history books. 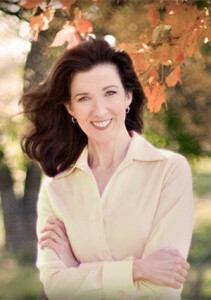 Her ongoing fascination with history and love of literature have led her to write inspirational fiction. Elizabeth lives with her husband in central Florida. I received this book from CFBA in exchange for my fair and honest review.